Versace women perfume by Versace is a modern light floral with fruity and woody nuances, perfect for wearing at night occasions. 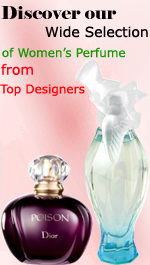 It is a sophisticated, seductive and dead gorgeous perfume dedicated for women who represent culture and style. It is a hallucinogenic perfume complementing the unique style of Versace couture.